Taking a near-two- tonne pick-up truck racing is like asking a lumberjack to ballet dance, don’t you think? Like lumberjacks, pick-up trucks are big and strong and excellent with logs, but all that muscle means they tend not to be particularly agile. Odd then, that this juxtaposition (the pick- up racing, not woodsmen in tutus) seems to work so well Down Under, where championships like the V8 Ute Racing Series are very much part of the motorsport mainstream. 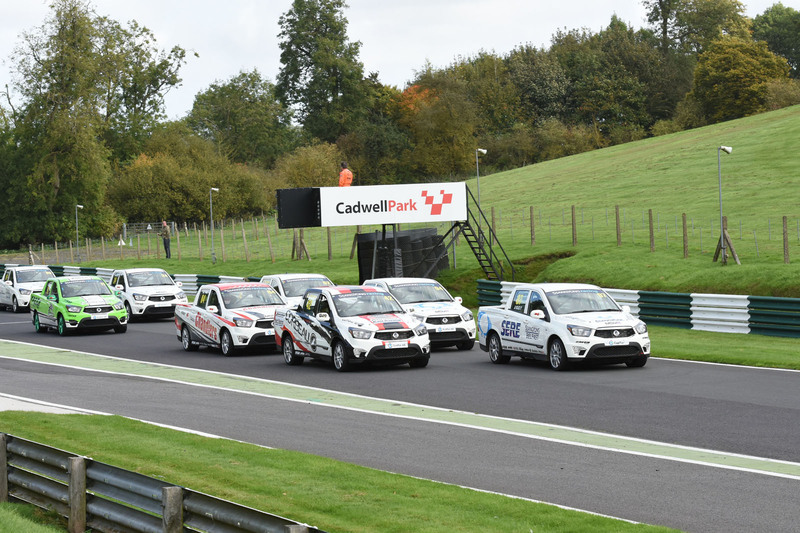 In Britain, pick-up racing is a niche, but now that sales of roadgoing pick-ups are increasing – as a nation, we’ve bought 30% more of them this year than in 2016 – is it time we sent more to do battle on track? Ssangyong, the Korean brand that’s yet to make a real mark here but is aiming to double its UK sales to 10,000 per annum, thinks it is, so since the start of this year has offered its Musso, a low-cost rival to the Nissan Navara, in race-prepared form for £17,000. 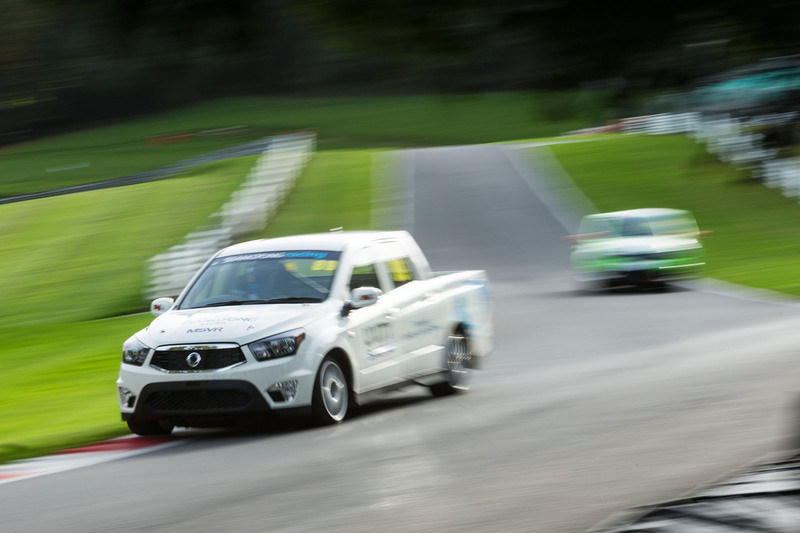 The Ssangyong Musso Pick-Up Racing Challenge has been launched alongside it. 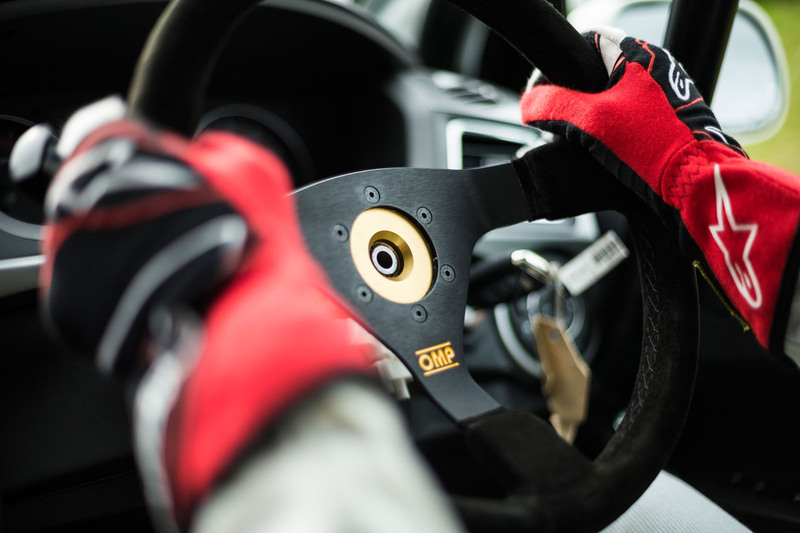 The one-make series is pitched as everything from an alternative tin-top series for amateur racers to a first step for youngsters with dreams of a professional motorsport career. As such, the racing Musso is quite different to its road-going counterpart, which has a one-tonne payload and a 3.5-tonne towing capacity. The track version has bespoke racing suspension and has been on a strict diet, losing practically all interior trim from the dashboard back to shave close to 400kg from the kerb weight. A Safety Devices rollcage has been fitted, and the racing Musso still tips the scales at a stout 1700kg. Under the Musso’s snout is a 2.2-litre diesel engine, remapped to produce 205bhp and 375lb ft, gains of 29bhp and 80lb ft respectively over the road car. While the numbers aren’t exactly outstanding by racing car standards, the extra power makes the engine feel like a bung’s been extracted from its exhaust pipe and ensures punchy performance at Cadwell Park, the challenging venue for Autocar’s debut in the series. We’re driving Musso number 02 which, regulations dictate, is technically identical to its rivals, so it is fitted with the same Avon semi- slick tyres and Proflex dampers, uses the same brew of racing diesel and also has an ECU that’s sealed by race officials to prevent tampering. Glynn Geddie, British GT title winner in 2011, played a key role in developing the Musso’s standard set-up, so as the 12-truck field rolls towards the start line for the first of two races at the Lincolnshire circuit, the results that follow are down to the driver and nobody else. When the lights on the starting gantry go green, the gruff note of a dozen heavily loaded oilburners fills the air. Don’t be fooled by the ‘novice’ stickers adorning the back of about a third of the Mussos, because this bunch are as racey as any. In the middle of the pack, I have to adopt an elbows-out driving style to make it through lap one. Bumpers are banged, wheel arches are scuffed and expletives are shouted. The opening few laps of the race are among the closest-fought I’ve experienced yet. This truck doesn’t bounce and roll around the circuit like you might think it would. Instead, it darts and squats like a rear-wheel-drive hot hatch (the Musso ditches the road car’s all-wheel-drive configuration). Only when you overcook it does the pendulum effect of all that weight take its toll, so much so that earlier in the weekend an unfortunate competitor lost the back end, went off circuit and into a portable toilet... In my race, a similar ‘tail-out’ scenario experienced by a competitor ahead of me ends without an unpleasant deluge of bodily fluids, but enables me to squeeze through into third. Can I reel in the leading pair? Not a chance: James Gornall and Cam Jackson, experienced racers both, scamper off. The remainder of the race is lonely for car 02. Not that this makes the third-place trophy any less welcome; this series feels as much fun to be a part of as it is to watch. As I write, Ssangyong UK is weighing up whether it’ll support a second season. The recent departure of CEO Paul Williams has cast doubt over the championship’s future. 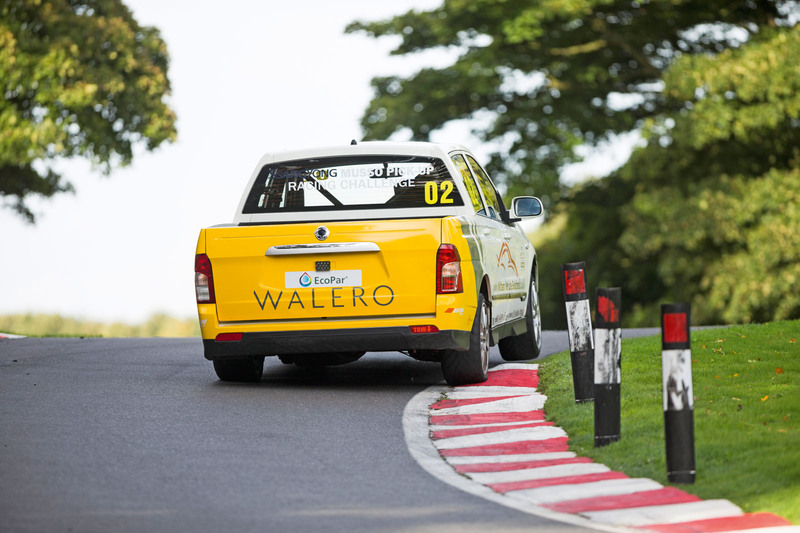 Which is a shame, because if the attention attracted by the Mussos parked in Cadwell’s paddock is anything to go by, backing a pick-up racing series could do quite a lot to boost the brand’s profile in Britain.